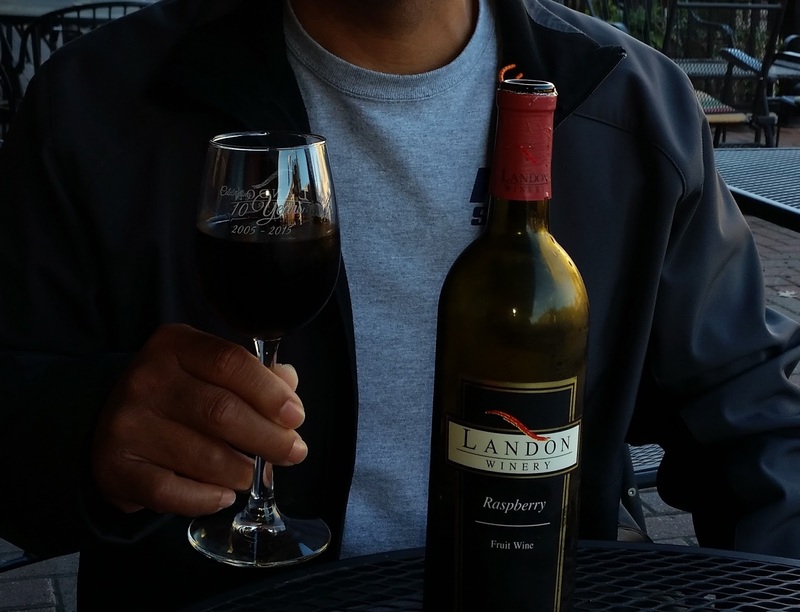 Landon Winery for a Cheese Plate and Raspberry Sweet Wine! 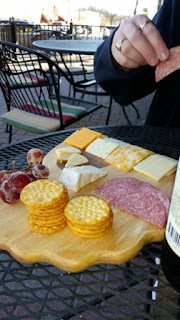 Stopped for a cheese plate and some sweet wine at Landon Winery. Winos have always liked their Raspberry Sweet Wine! Easily gets a Good Rating! 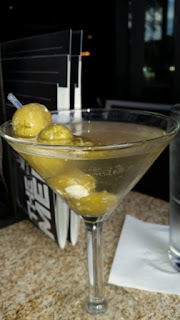 Had a few Martinis at Bar Louie's yesterday. 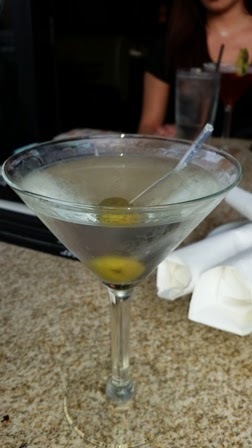 Went with the Rat Pack Martini and the Bleu Martini. The Rat Pack carries a big stick and should be forewarned to limit oneself to only two. The Blue Martini gets a thumbs up as we especially like the tasty Olives stuffed with Bleu Cheese! 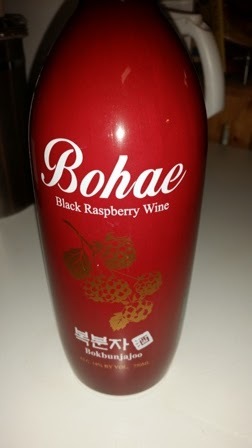 Was at the Asian Food Market the other day and spied a Korean Sweet Wine that was rated at 15% Alcohol Content. Being the Red Wine Wino has an affinity to red wines that go over 13% alcohol content, he opted to put this one in the grocery cart. Later, while having an after dinner drink, the Winos gave it a "taste". Wine is sweet, wine is strong, and it is a good one that we will buy again in the future! This one gets a Good Rating. 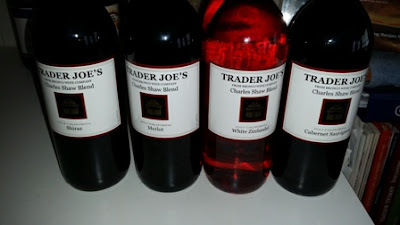 Stopped at Trader Joe's to restock the wine rack with some inexpensive wines for the upcoming Holidays! Went with Charles Shaw Shiraz, Merlot, Cabernet Sauvignon, and White Zinfnadel. All have been rated Good in the past. We are certain these will make the grade this round as well! 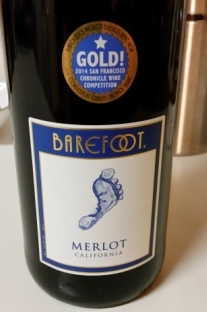 Back for more Barefoot Merlot. Bought the big bottle; still gets a Good Rating from the Winos! 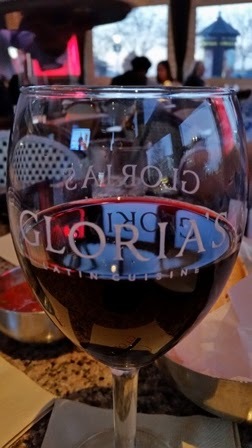 Had a glass of wine with dinner last week at Gloria's. Ordered the House Merlot. If our taste buds don't deceive us, we think it was Yellowtail's Merlot! Always liked Yellowtail's wines. This one gets a Good Rating!